The My Passport SSD is portable storage with blazing-fast transfers. Password protection helps keep your content secure. Easy to use, the My Passport SSD is shock-resistant, compact storage in a cool, durable design. Featuring IP67 water-and dust-resistance, 3-meter drop protection*, and a 1000lb crushproof rating, the G-DRIVE mobile SSD provides durable storage you can trust. 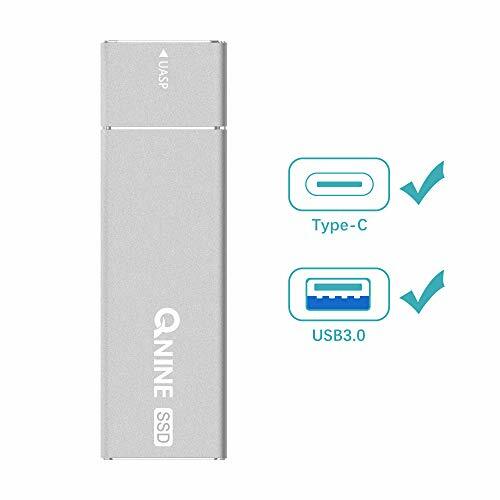 Transfer speeds up to 560MB/s** let you quickly save, edit and archive large source files, while a versatile USB-C port with a USB 3.1 Gen 2 interface keeps this device ready for laptops both old and new. With the G-DRIVE mobile SSD, you get exceptionally durable storage to handle your big picture. | *On a carpeted concrete floor | **As used for transfer rate, megabyte per second (MB/s) = one million bytes per second. Performance will vary depending on your hardware and software components and configurations. The rugged SanDisk Extreme Portable SSD delivers high speed transfers with up to 550MB/s read speeds, making it perfect for saving and editing hi res photos and videos. Its IP55 rating mean that it can stand up to rain, splashes, spills and dust. With models up to 1TB capacity, it s perfect for extensive photo shoots, taking your portfolio with you or backing up your work. 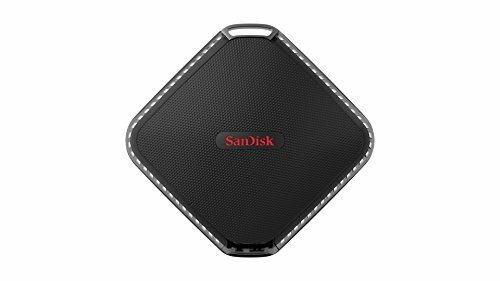 Compact and designed to fit in the palm of your hand, the SanDisk Extreme Portable SSD works with both PC and Mac computers. Storage Capacity: 250GB Solid State Drive. Rugged, water- and dust-resistant (IP55-rated). Shock-resistant solid state core for greater durability. Contents: SanDisk Extreme Portable SSD; USB Type-C to Type-C cable; Type-C to Type-A adapter. The SanDisk Extreme 500 portable SSD is less than half the size of your smartphone and delivers blazingly fast speeds. Get to work in seconds, transfer big videos and photo libraries at up to 415MB/s(for 240GB & 250GB) [430MB/s for 480GB & 500GB; 440MB/s for 1TB]. 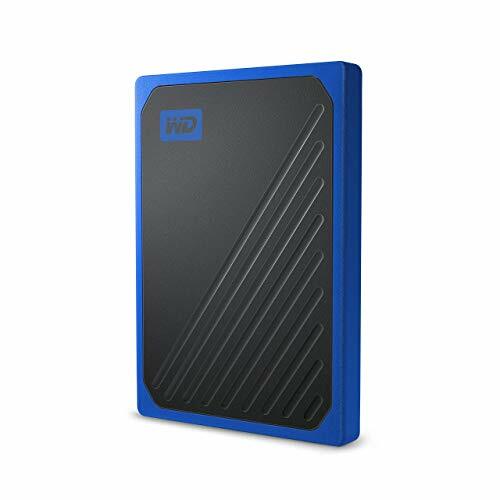 Designed for durability and style, this drive is amazingly compact and has no moving parts to break. Solid state technology offers reliable, responsive, high-performance storage for photographers and videographers who capture and carry lots of big media files. 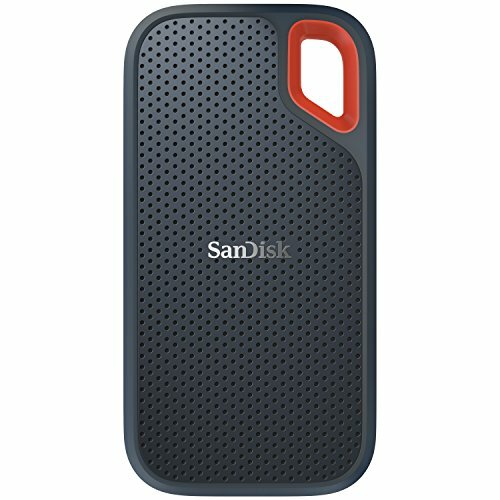 When you care about your day's work, it pays to make the SanDisk Extreme 500 your portable storage drive. Compatible with PC & Mac computers no drivers needed. Works with Windows Vista, Windows 7, Windows 8, Windows 8.1, Windows 10 and Mac OS 10.4+. The My Passport SSD is portable storage with blazing-fast transfers. Password protection helps keep your content secure. 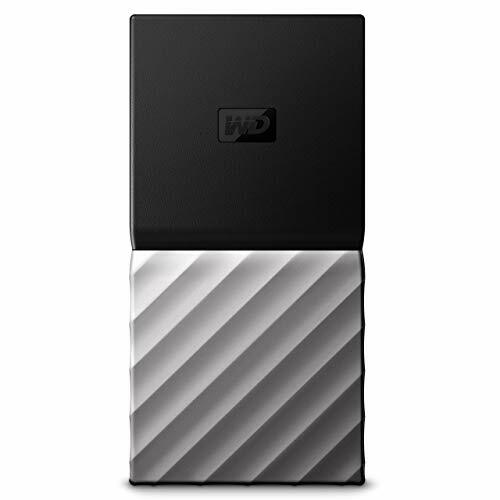 Easy to use, the My Passport SSD is shock-resistant, compact storage in a cool, durable design. 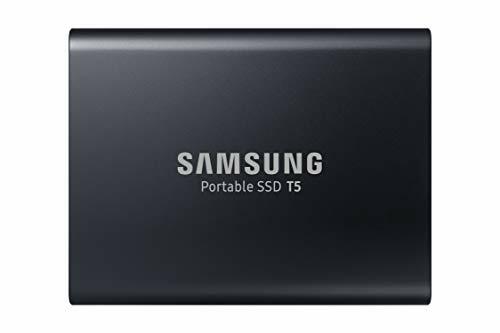 Compatible with: Built for Windows or Mac, this My Passport SSD is compatible with USB Type-C and USB Type-A ports. It's USB Type-C ready to reach read speeds up to 540 MB/s. Also, it uses USB 3.1 Gen 2 bus and is compatible USB 3.1 Gen 1 and USB 2.0, as well as the USB Type-A interface. Backups are also compatible with Apple Time Machine (requires reformatting). This SSD is compatible with Windows 10, 8.1, and 7, plus macOS High Sierra, Sierra or El Capitan. Reformatting may be required for other operating systems. The SSD will provide you read/write rate at lightning speed, which allows you to backup easily. The computer will be responsive and smooth when it comes to loading pages or launching applications. 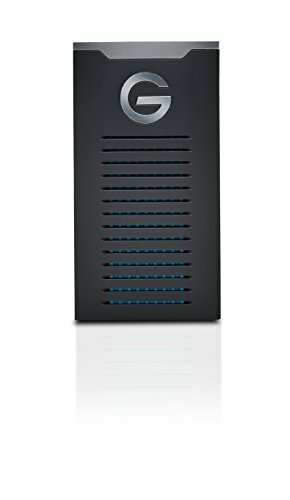 small in size but store lots of data, such as photos, videos and softwares, and free up your memory of computer. tablet, or other devices with USB port. Today's active lifestyles have completely redefined mobile computing and designs for portable gadgets. 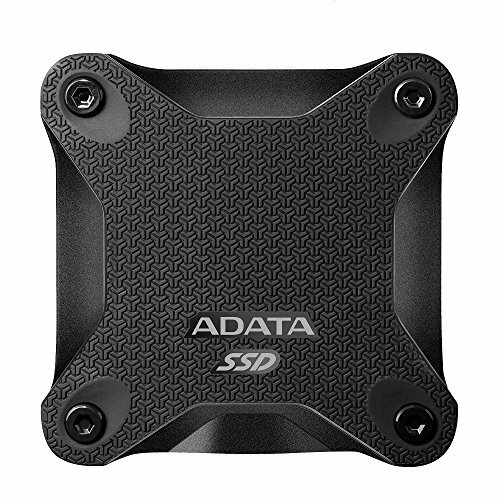 ADATA SE730H USB 3.1 Gen 2 Type-C waterproof portable solid state drive (SSD) is designed specifically to perform at the highest standards and protect your data from everyday accidents. The bonus is that we were able to keep it looking cool and compact for convenient everyday use. The SE730H External SSD is furiously fast. SSD technology and USB 3.1 Gen 2 type-C enables top transfer speeds of 500 MB/s comparing to a traditional external hard drive at only about 100 MB/s, enabling large files to be transferred in a much shorter time. 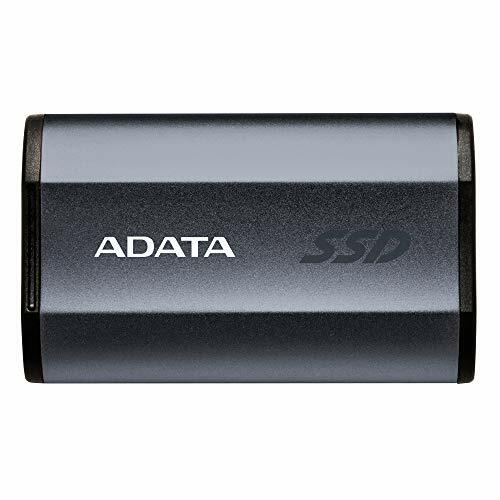 ADATA SE730H is extremely compact and portable, measuring only 2.8" x 1.7" with thickness of 0.7". This fully portable solid state drive is IP68-certified, capable of operating continuously and normally even after being submerged under over six feet of water for over an hour. As for shock handling, ADATA SE730H is certified under MIL-STD-810G 516.6 military grade shock test standards. Works with Windows, Mac OS, Linux and Android mobile devices such as smartphones, tables and laptops for seamless data sharing across multiple OS platforms. ADATA SE730H is truly an indispensable gadget when taking valuable data on the road. It also comes with a 3-year limited Warranty for worry-free ownership experience. 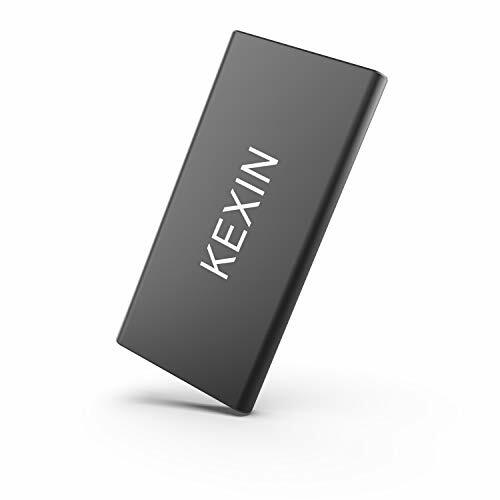 Powered by 3D NAND Flash, which delivered a better performance and reliability. Pioneer APS-XS03 solid state drive can transfer your data with ultra-high speed and efficient power saving. 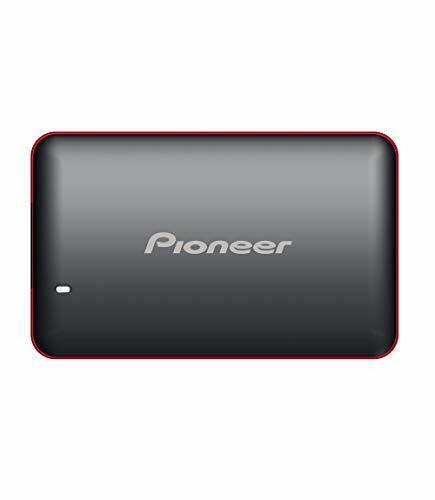 Pioneer's external SSD will definitely provide you with the best user experience. It supports a variety of PC/laptop. 4 times faster than the traditional HDD. The Pioneer APS-XS03 has a 3 year warranty, users can benefit from the high-end endurance and performance. Warranty information: Please check this website to see more warranty detail " https://pioneer-iot.com/warranty/ " If have any product question, please contact us via Amazon Message or E-mail to " https://pioneer-iot.com/warranty/ "
Born to Travel Pioneer XS03 SSD series, 25g extremely light, truly pocket-sized, easy to take anywhere with confidence. Durable Material Shock-resistant, silence and low power-consumption. Pioneer only provide the best quality. 4X faster Pioneer XS03 series is 4X faster than traditional portable hard drive. Transfer data anywhere without leaving important content behind. Compatible Device Fully compatible with PC or MAC. Also compatible with all USB specification. Simply plug into any USB port and it automatically gets started. Warranty information 3-year manufacturer's limited warranty. 2.5x faster than most portable hard drives with up to 400MB/s performance* |*Based on read speed and internal testing. As used for transfer rate, megabyte per second (MB/s) = one million bytes per second. Performance will vary depending on your hardware and software components and configurations. Works with PC and Mac computers, with included automatic backup software (2) for Windows and compatibility for Time Machine (reformatting required). |(2) Internet activation required. Experience fast editing, backups, and transfers with full-throttle speeds of up to 540MB/s. Store high-res source files, images, and video. And enjoy universal compatibility across Mac, Windows, USB-C, and USB 3.0. 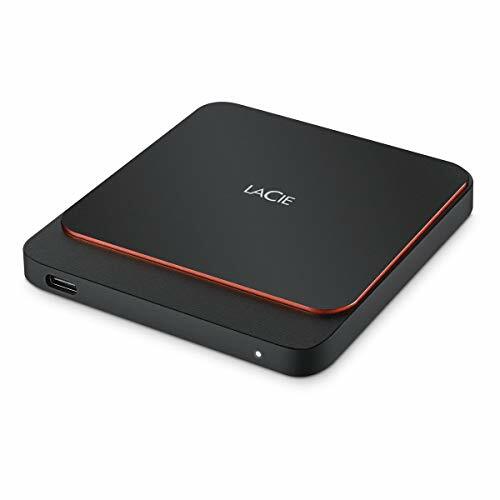 LaCie portable SSD is more than a compact external solid State Drive. Includes 3-year warranty with 3-year rescue Data Recovery services. It's reliable, forward momentum in every possible way. My Passport Go is the tough SSD drive built to travel. 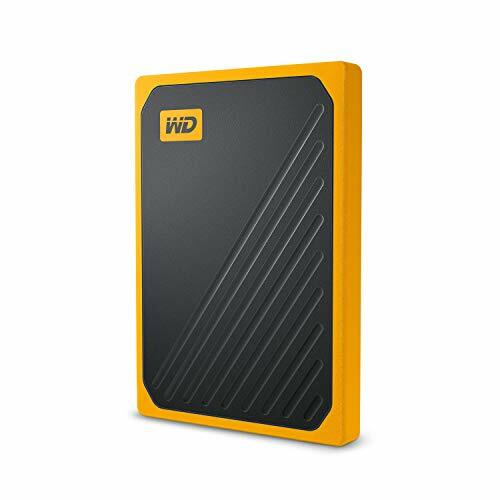 With a rubber protective bumper on the outside, a solid state drive on the inside, and a built-in cable for convenience; this is no ordinary drive. My Passport Go is the perfect drive to take anywhere with confidence. **Based on read speed and internal testing. As used for transfer rate, megabyte per second (MB/s) = one million bytes per second. Performance will vary depending on your hardware and software components and configurations. 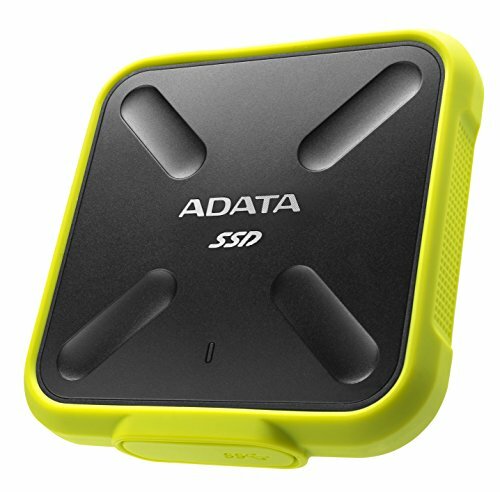 Waterproof, shockproof and dustproof external SSD from AData. The SD700 comes with a USB3.1 interface, it is ultra-light and incredibly thin. Carry it with you everywhere and you can be assured that your valuable data is safe. 512GB version in yellow and black colors. 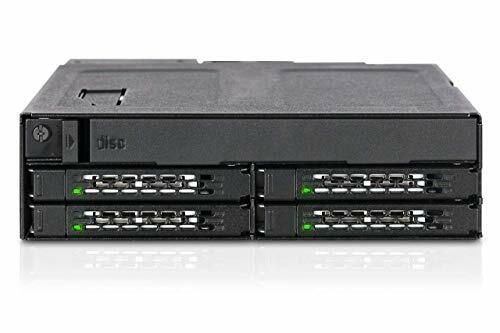 Introducing the tough Armor mb604spo-b ruggedized mobile rack for hot-swapping 4x SATA/SAS SSDs and adds up to 9.5mm in height, and 1x slim 12.7mm or ultra-slim 9.5mm CD/DVD/Blu-ray ROM Optical Disk Drive Reader for the external 5.25" Bay. Featuring industrial full-metal construction inside and out, and designed for commercial applications such as military and medical Systems, airborne and shipboard PCs, in-vehicle systems, servers, workstations, and mobile computer systems. Maintain optimal drive temperatures with the user-configurable 40mm cooling fan and plenty of ventilation holes throughout the enclosure. Advanced removable trays with anti-vibration protect drives in harsh environments, and built-in individual status LEDs give you drive updates at a glance.